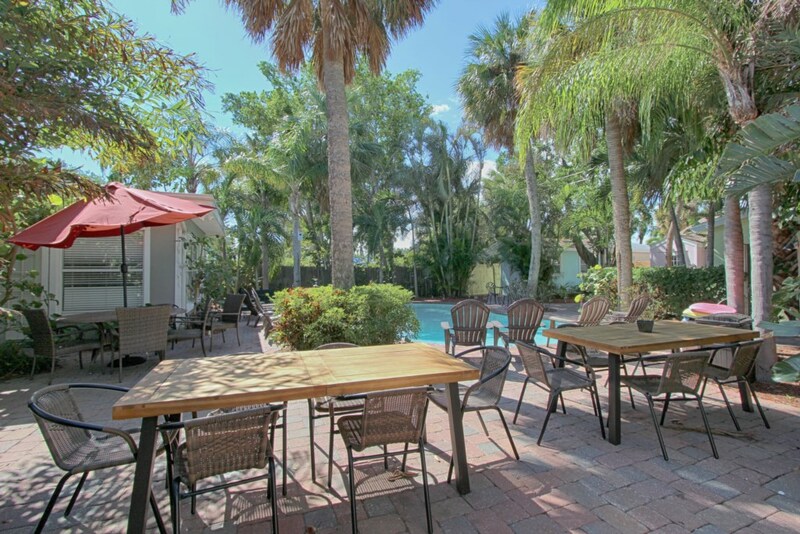 Bruce Cabana is a part of the Clearwater Beach Cabana. 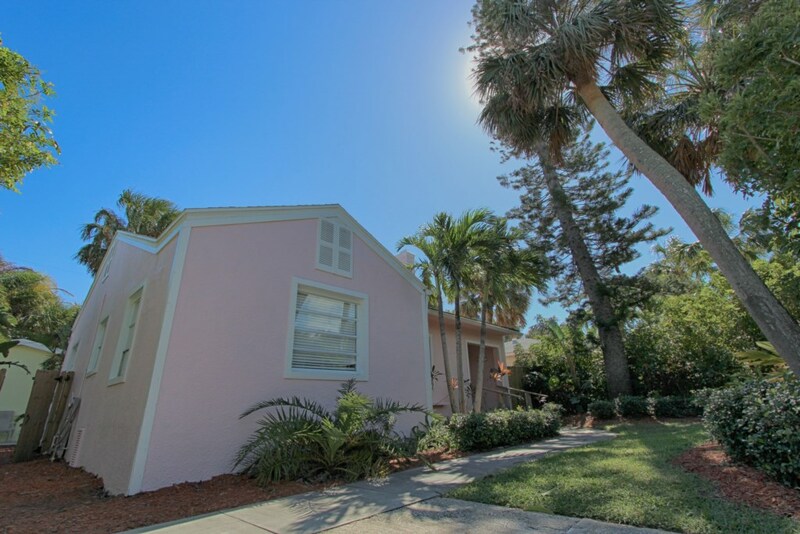 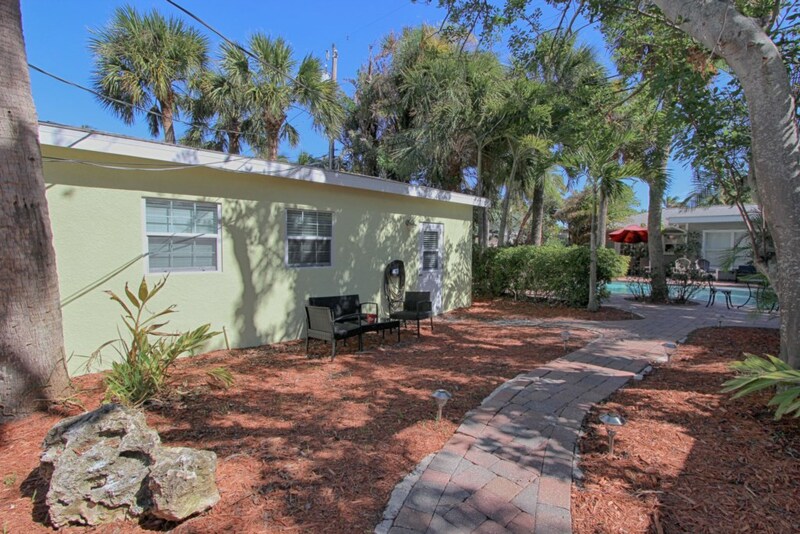 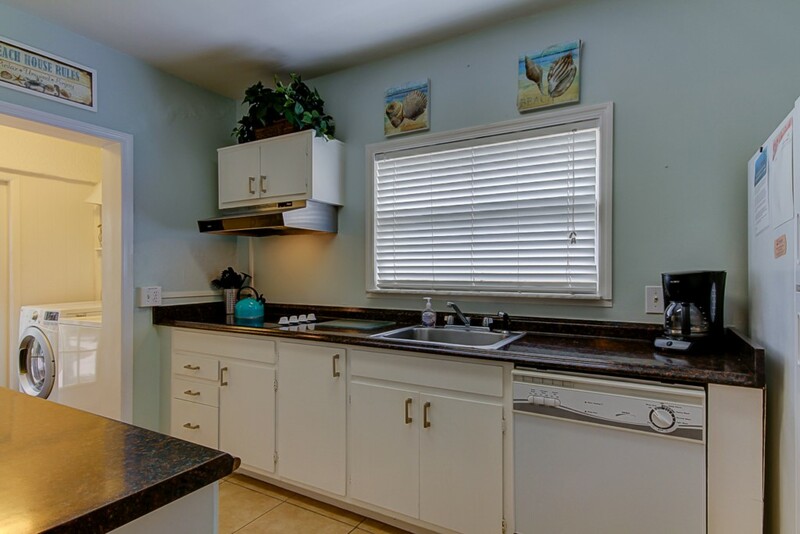 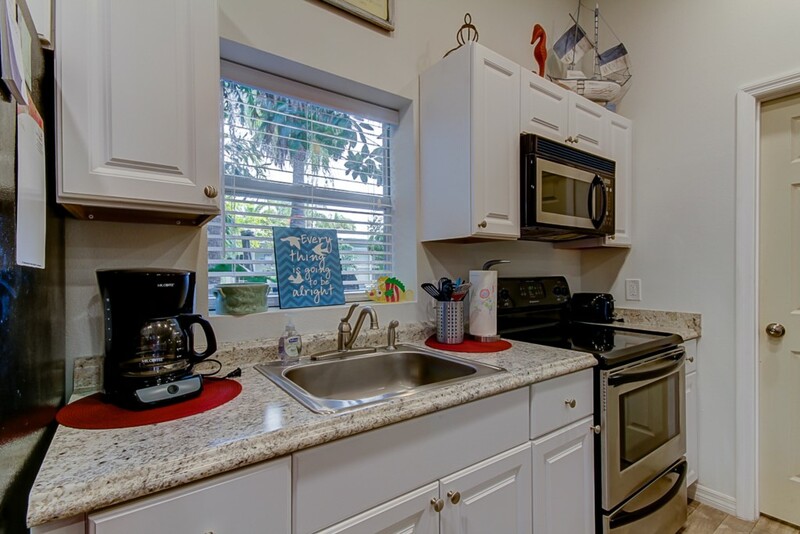 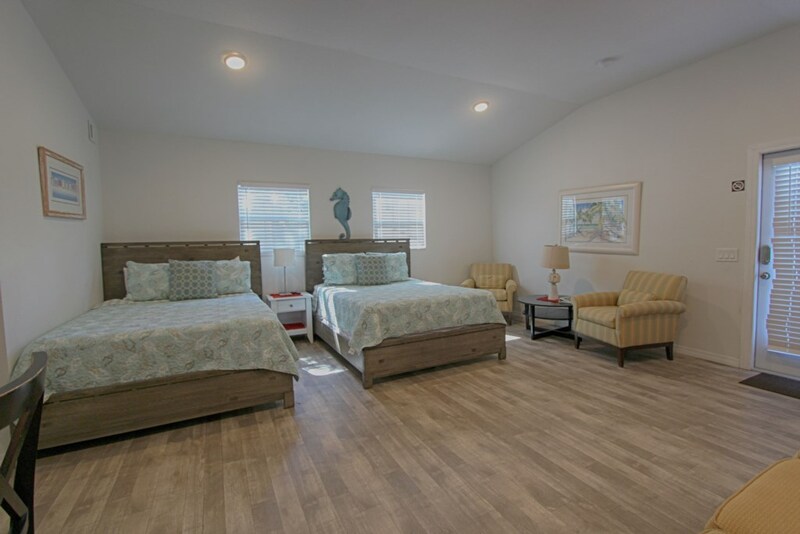 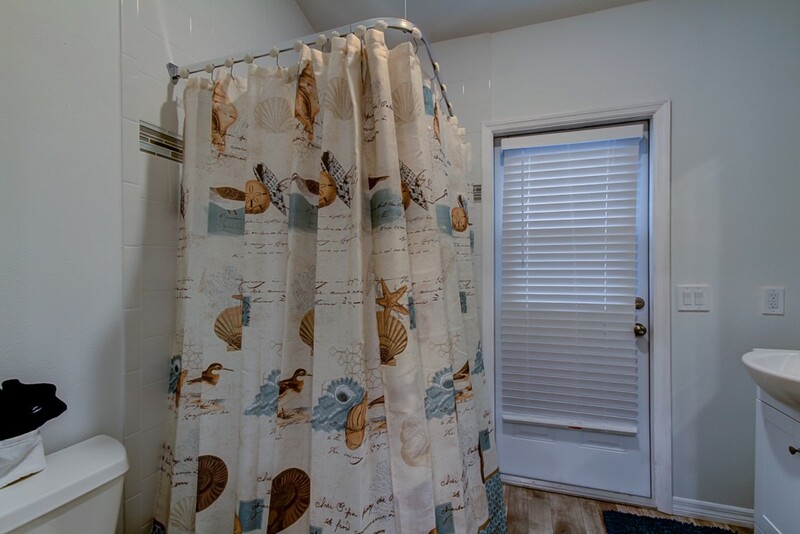 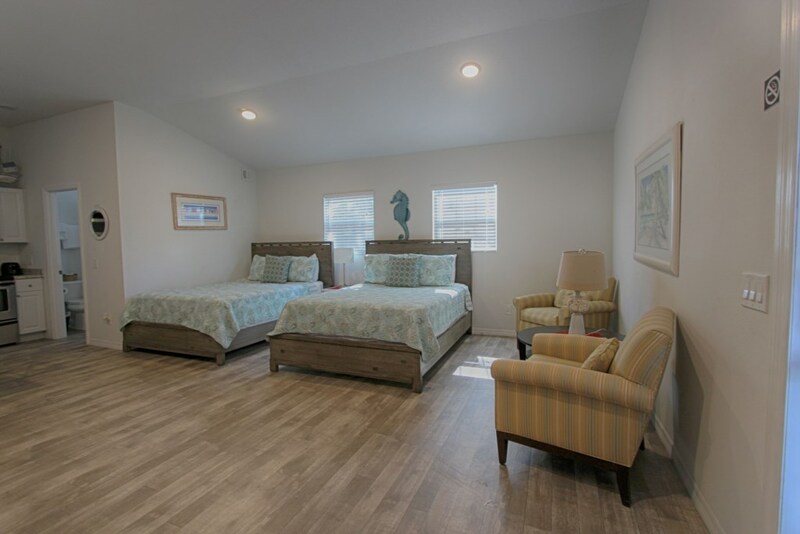 Our Bruce Cabana and Guesthouse is a quaint and cozy home and bungalow that is ideal for your Clearwater Beach Island getaway filled with a shared tropical yard and a beautiful pool. 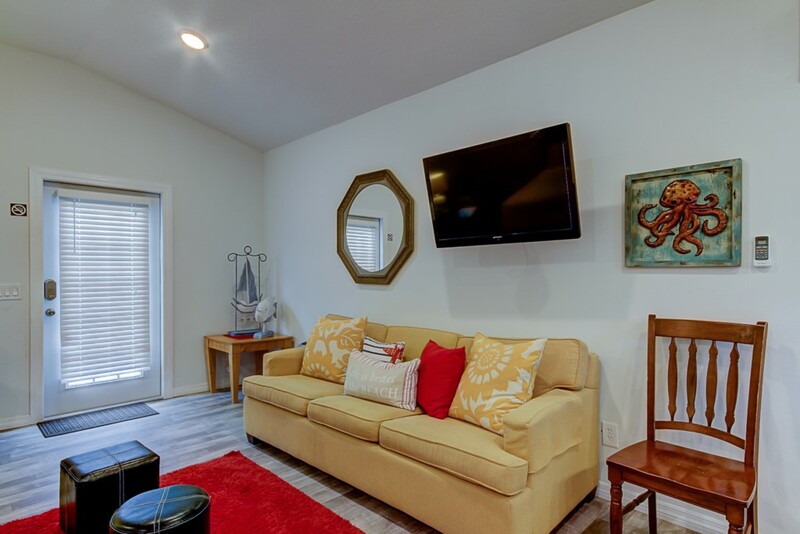 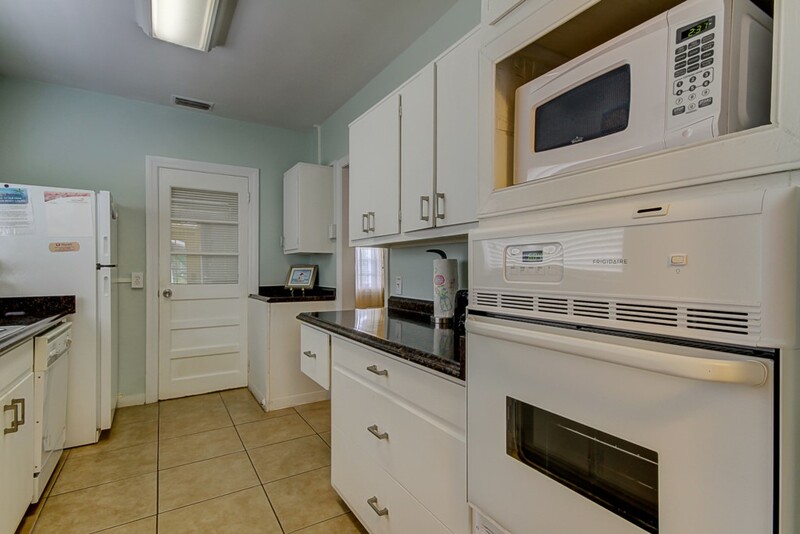 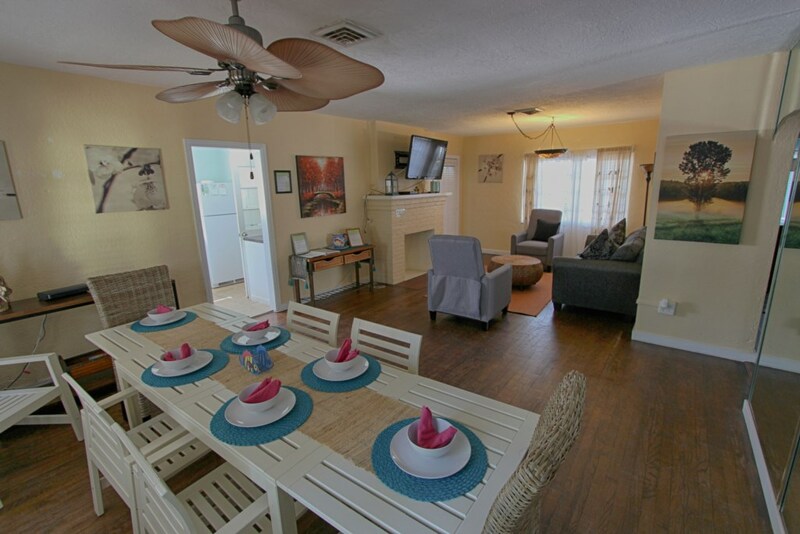 The Bruce rental home is a charming 3 bedroom 1 bath home that will accommodate 8 guests total. 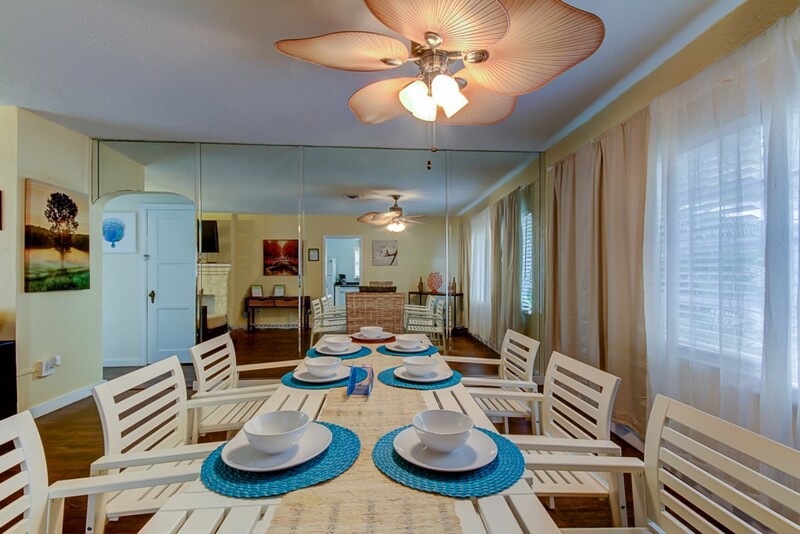 The Guesthouse bungalow is a 1 bedroom 1 bath that will accommodate 6 guests total. 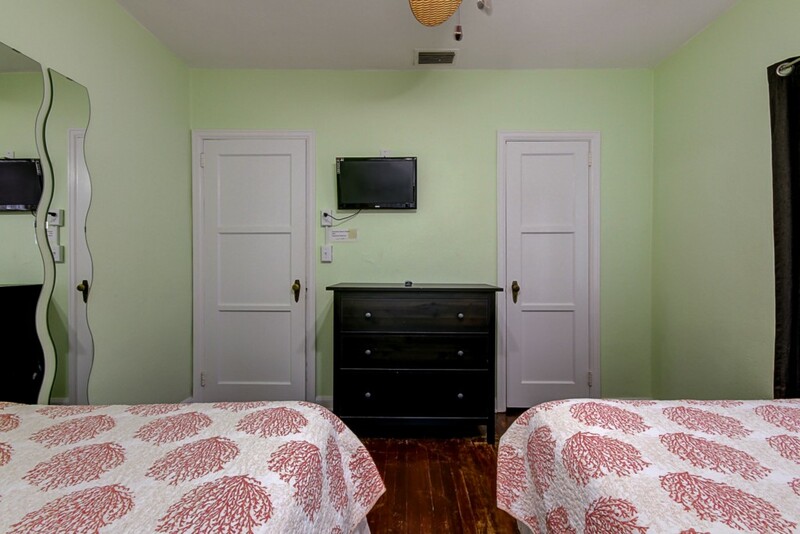 Total these two will accomodate 14 guests. 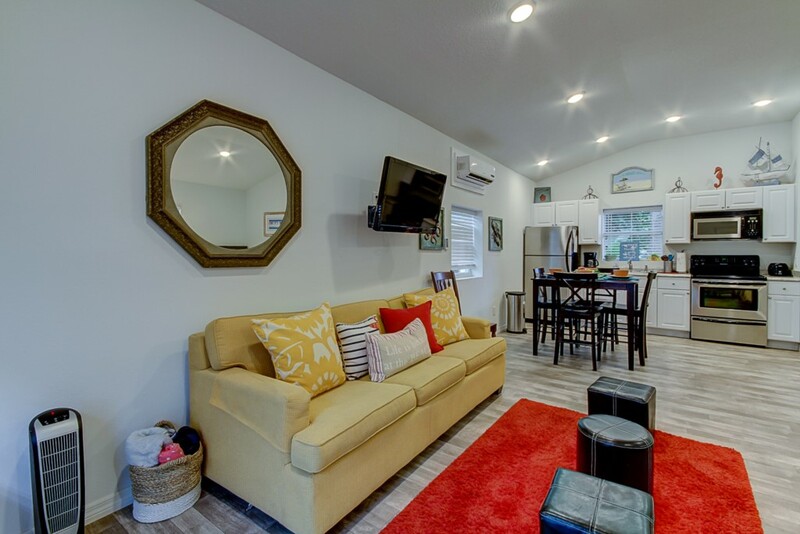 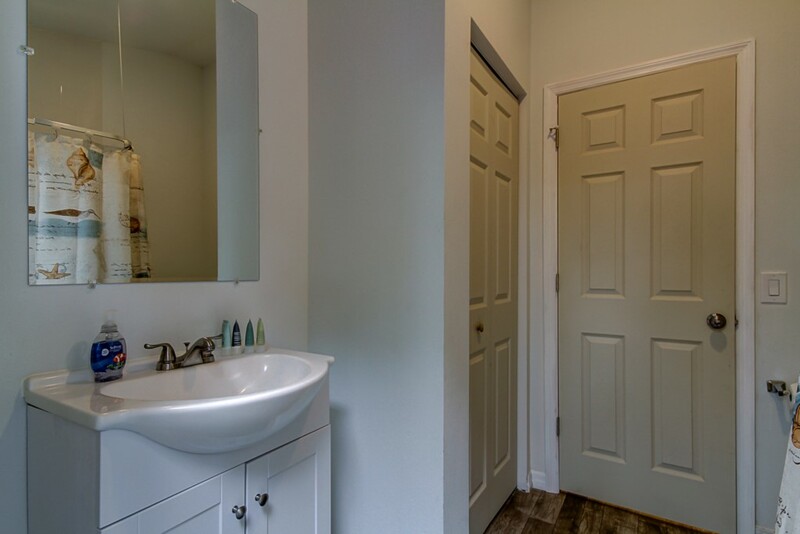 This ideally designed floorplan of a single home and a guesthouse offers you and your family an affordable option of renting two separate places as one. 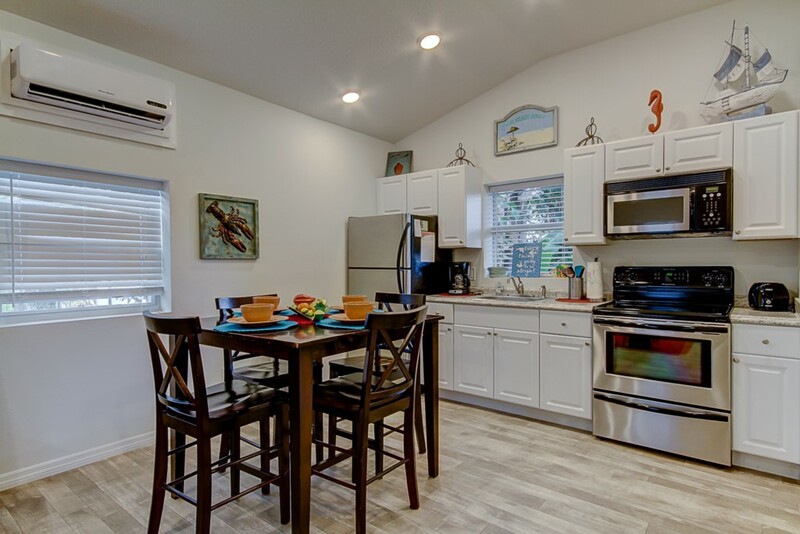 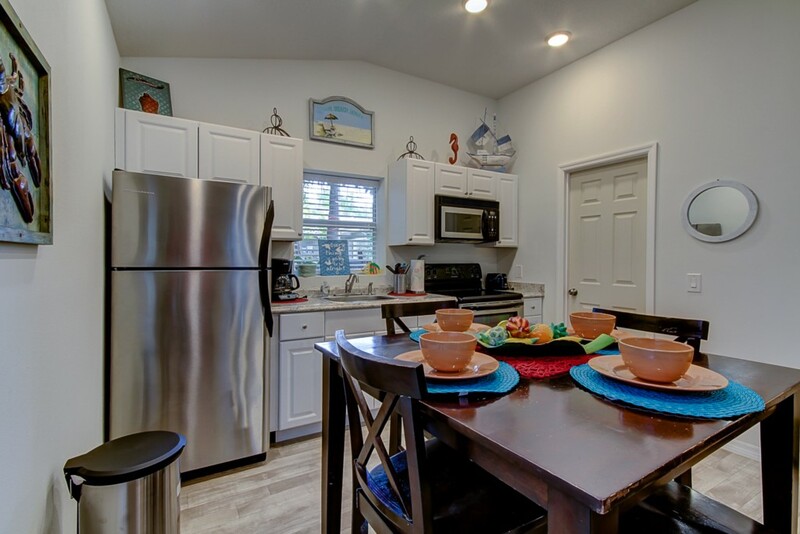 This set up has all of the comforts of home, each equipped with a dining and living area, fully equipped kitchen and much more. 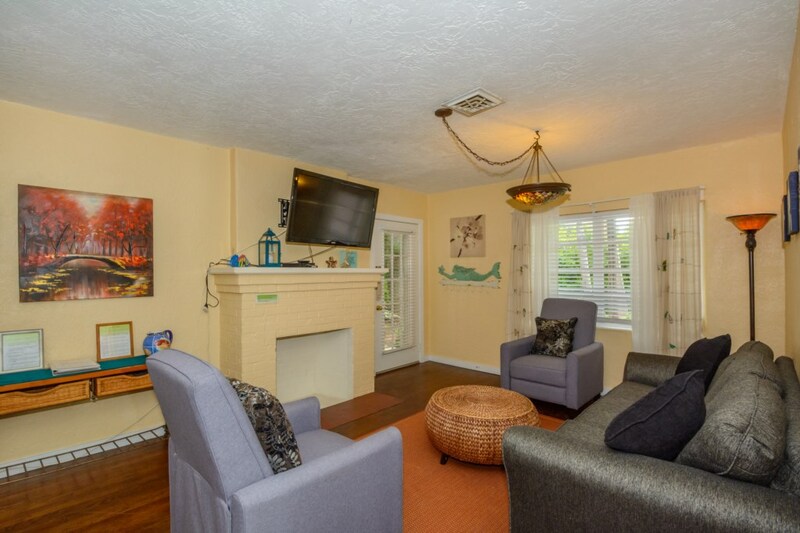 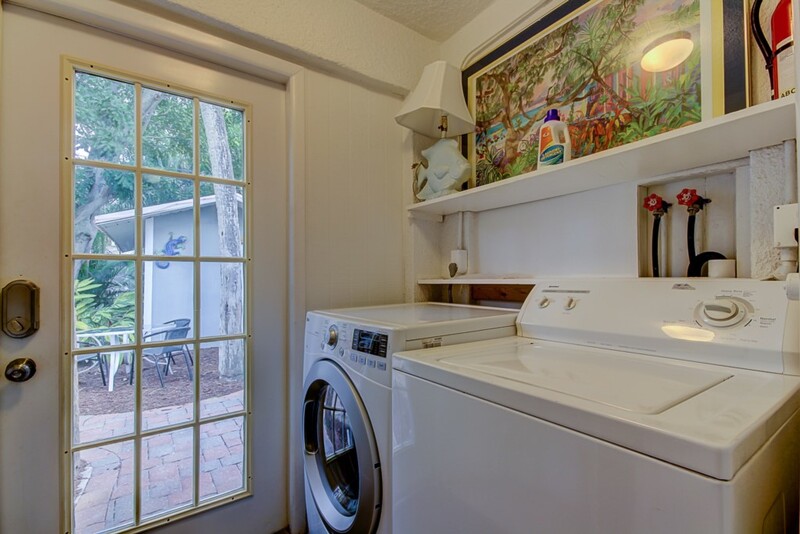 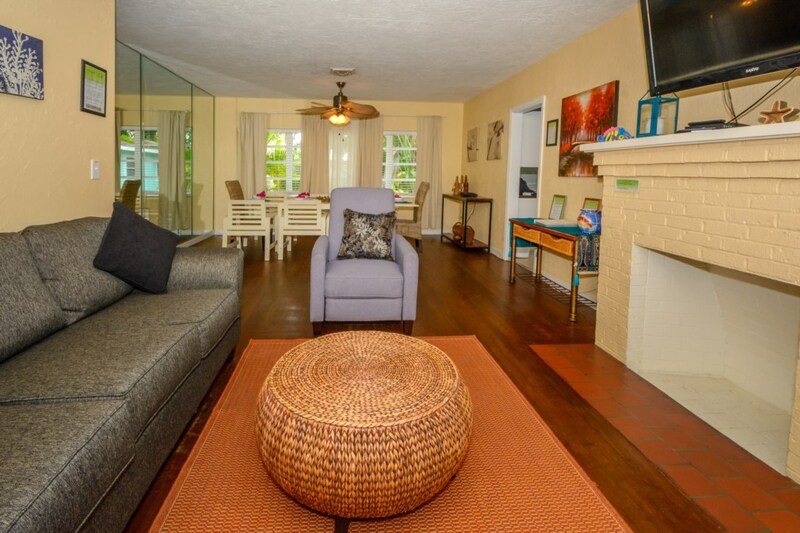 This lovely rental is just 2 blocks from the beach. 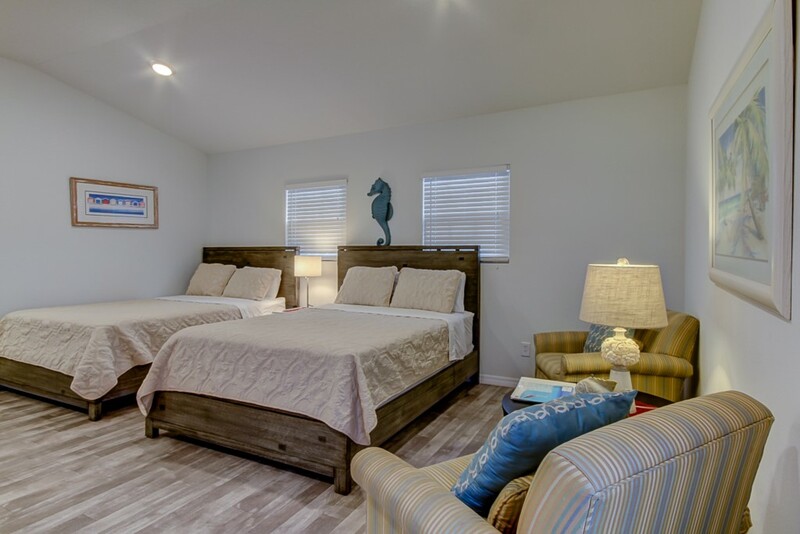 The sleeping arrangements in the Cabana include a Queen size bed in the first bedroom, two Queen size beds in the second bedroom and a set of bunk beds in the third bedroom to accommodate 8 guests. 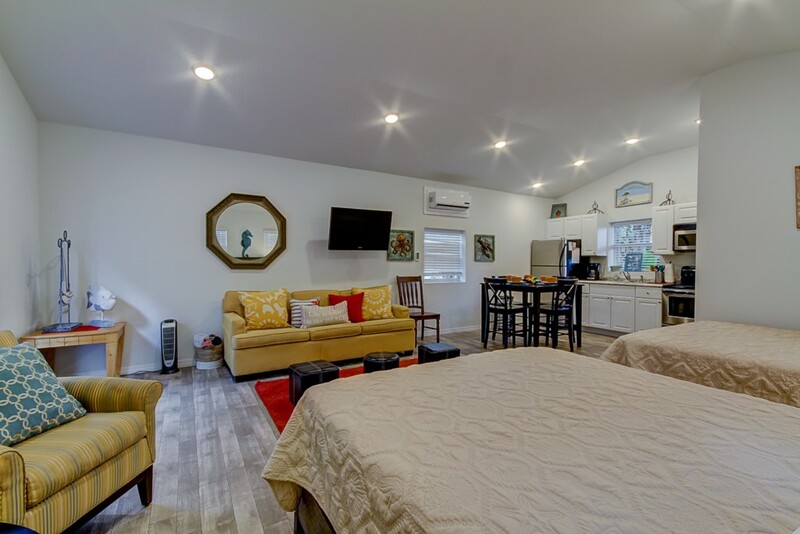 The sleeping arrangements in the Bungalow include 2 Queen size beds and a pull out couch to accommodate 6 guests for a total of 14 between both rentals. 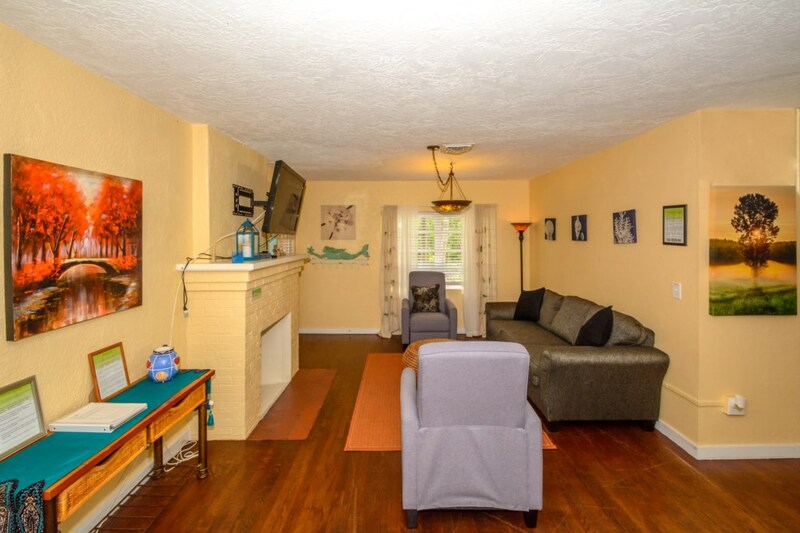 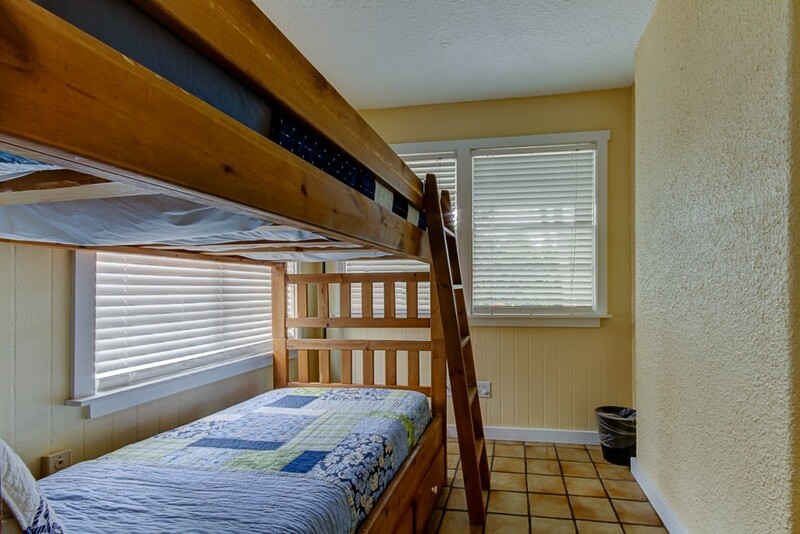 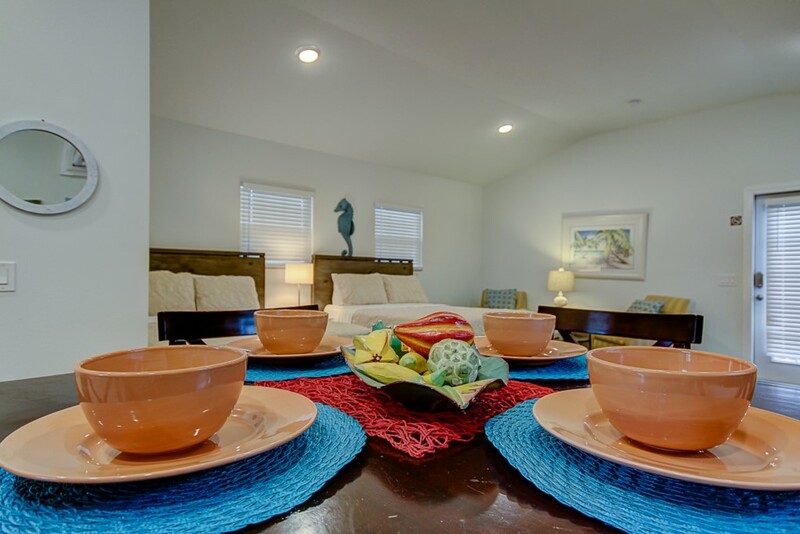 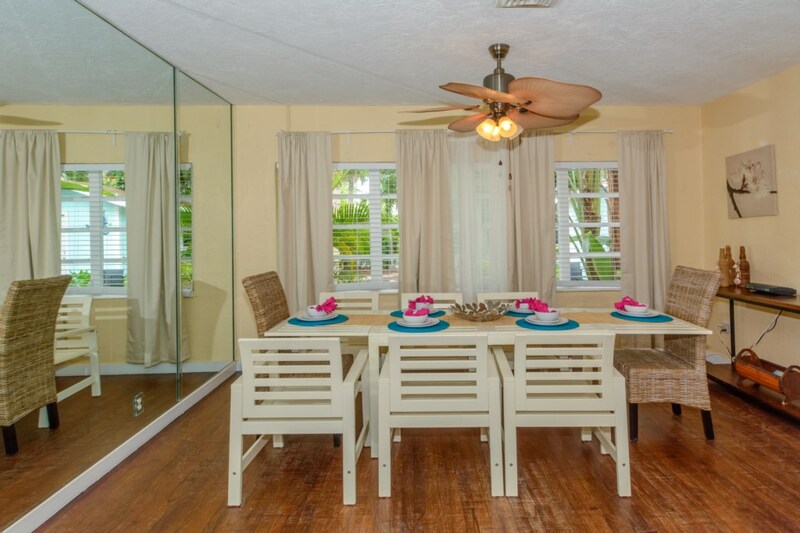 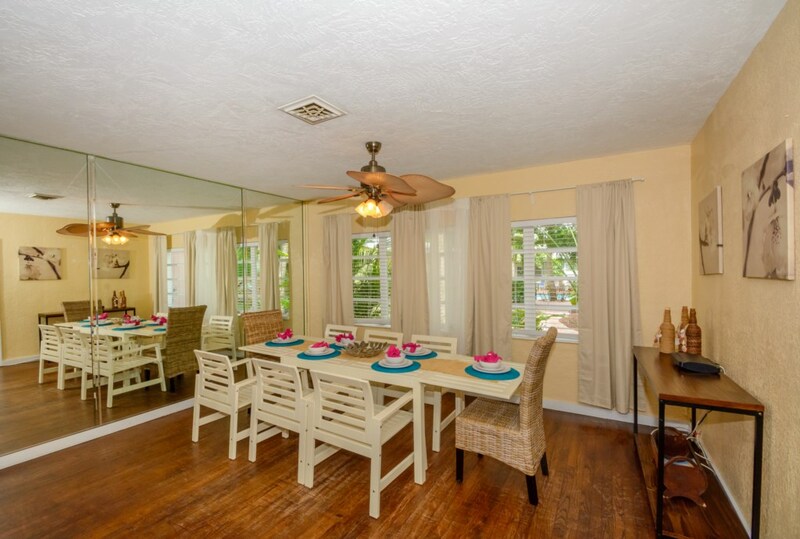 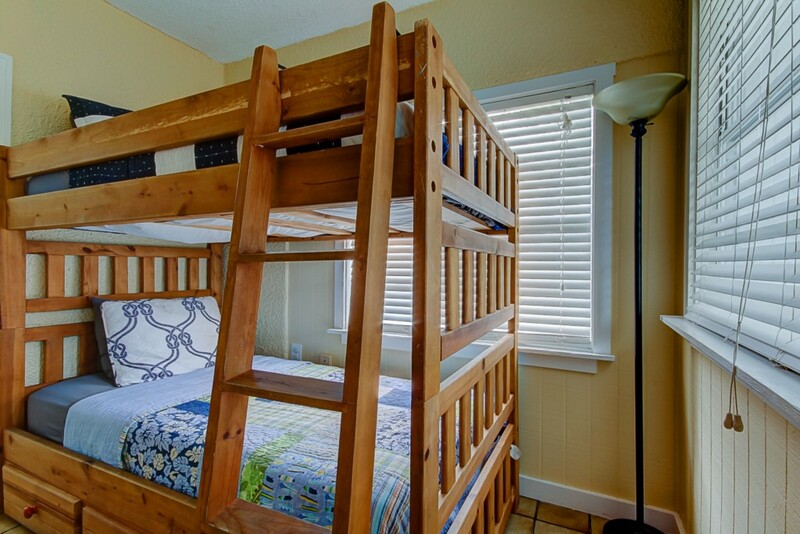 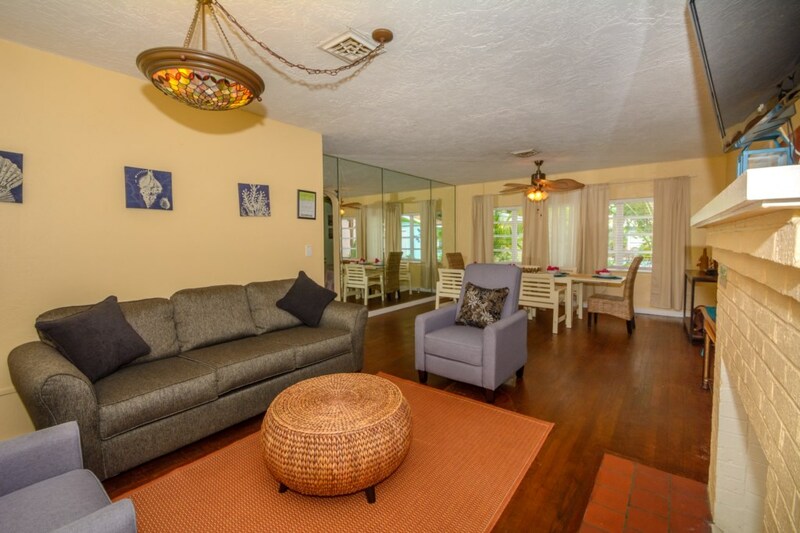 Each rental property is beautifully decorated inside and out for a cozy, sunny, beachy stay. 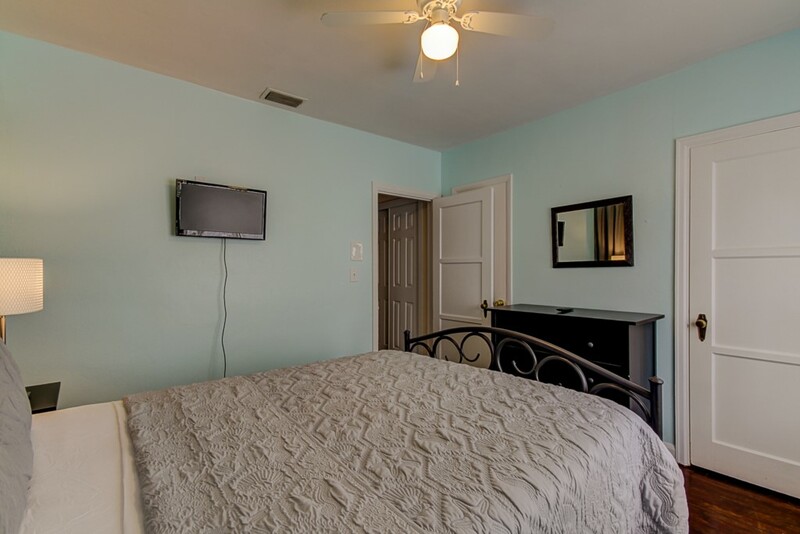 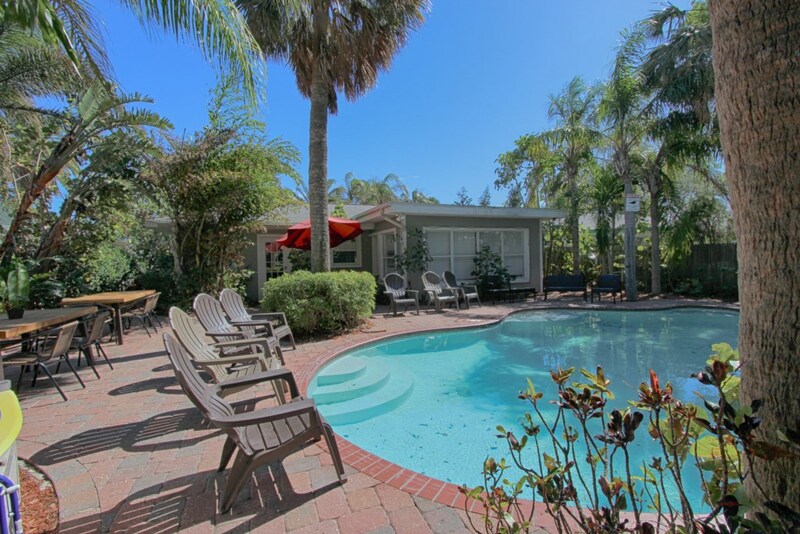 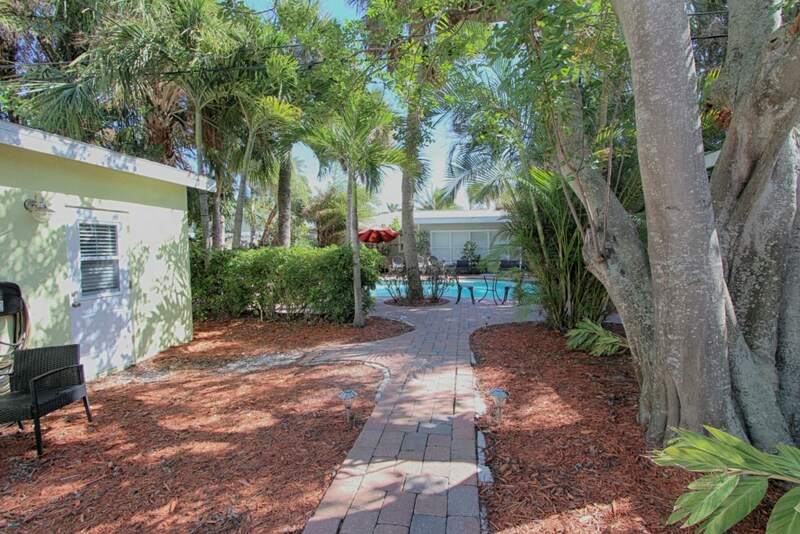 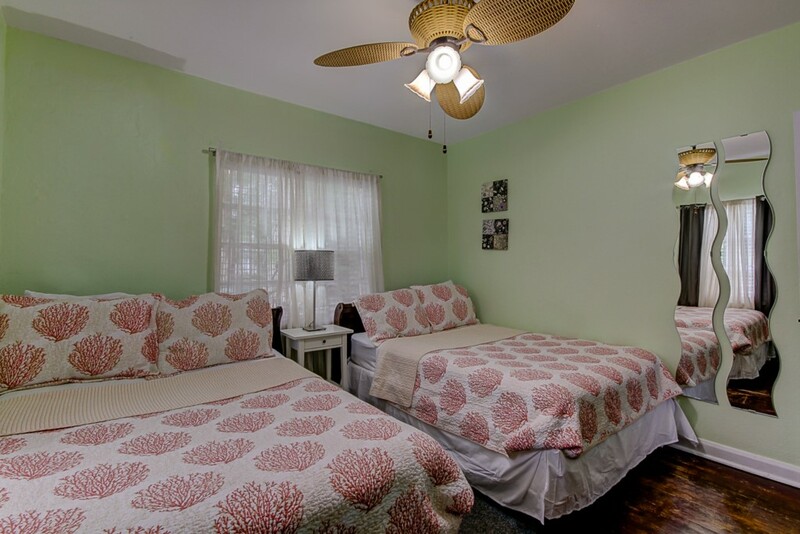 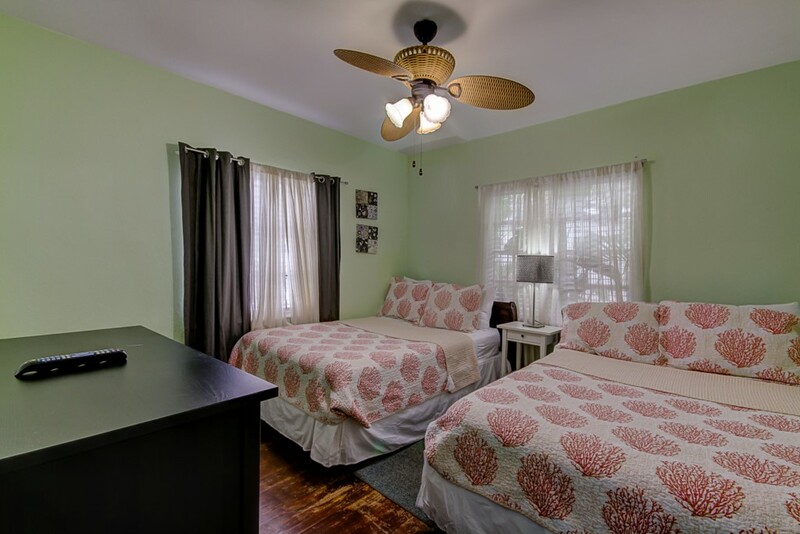 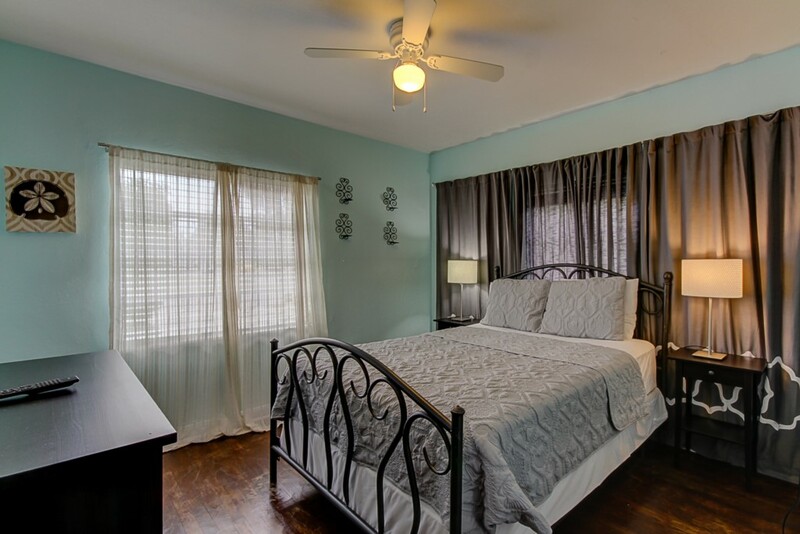 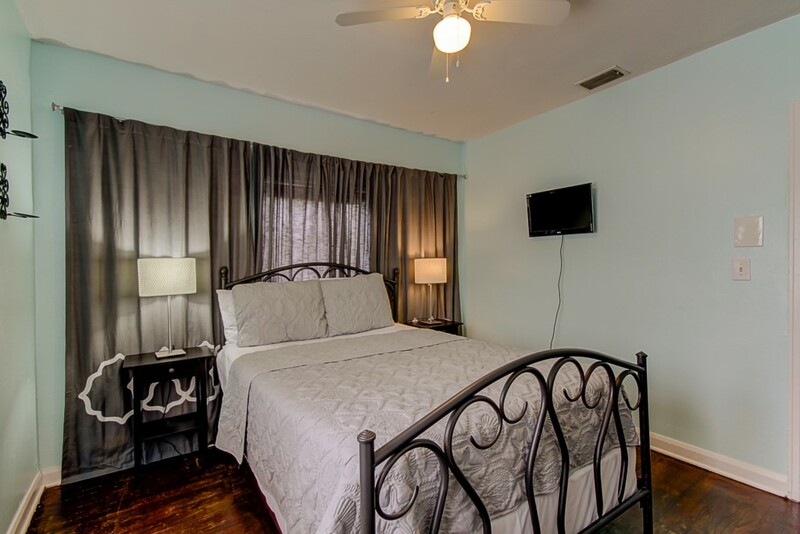 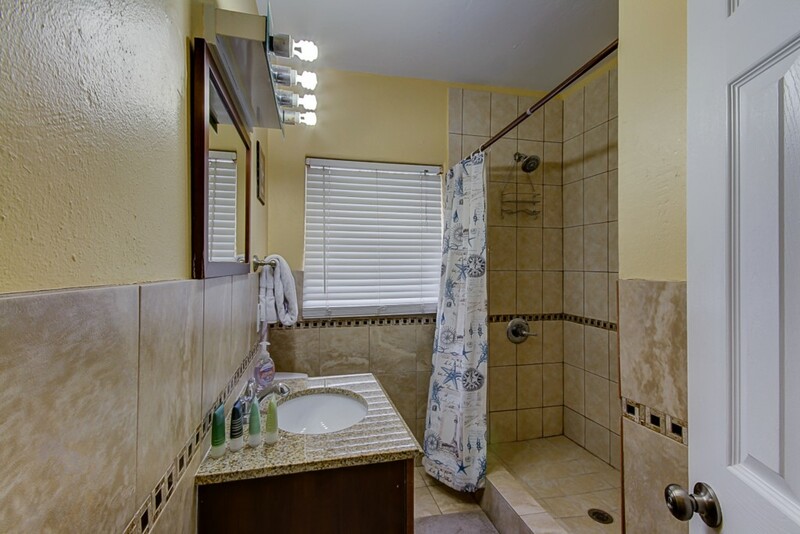 In addition, these vacation rentals have an exceptional location in a peaceful neighborhood setting. 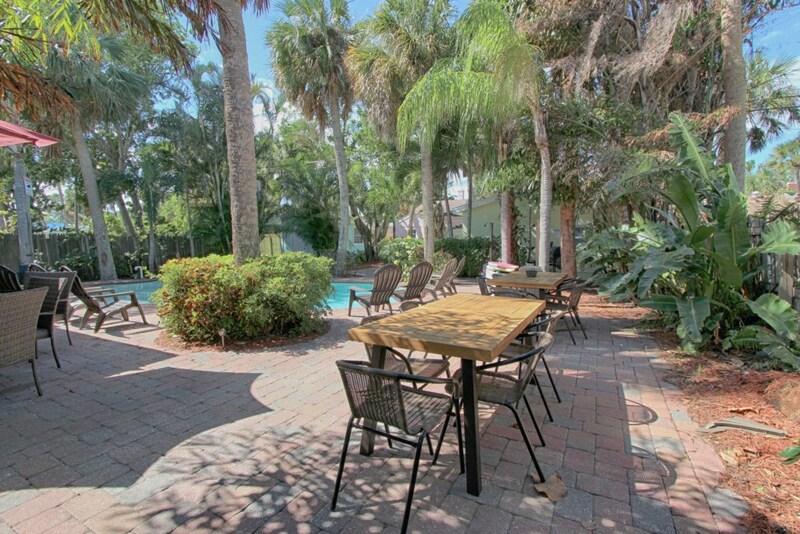 You won't be disappointed with this beach set up that includes lots of space for pool side relaxation, a large shared paver area, lounge chairs and a shared tropical pool area.